Between 21st October and 22nd November, 1914 a desperate fight took place around the Belgium city of Ypres, the first of three major battles that were to be fought there during the course of the war. British troops entered Ypres in October. The 1st and 2nd Divisions plus the 3rd Cavalry Division had made their way up from the Aisne as part of the “Race to the Sea”, whilst the 7th Division came west to Ypres after Antwerp had fallen. The Germans knew that Ypres was the gateway to the Channel ports and that these were vital to Britain’s war effort so they poured reinforcements into the area. The fighting fell into three distinct battles; the Battle of Langemarck, 21-24 October, the Battle of Gheluvelt, 29-31 October and the Battle of Nonne Bosschen, 11 November. Ypres did not fall to the Germans but its defence during these two months resulted in the destruction of much of the old regular British Army. 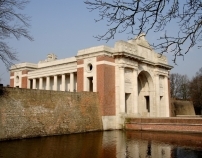 Although the Battle of Gheluvelt ended on the 31st October, there was still some bitter fighting over the next few days for those British soldiers who held the line in the Ypres salient as the Germans continued to attack. 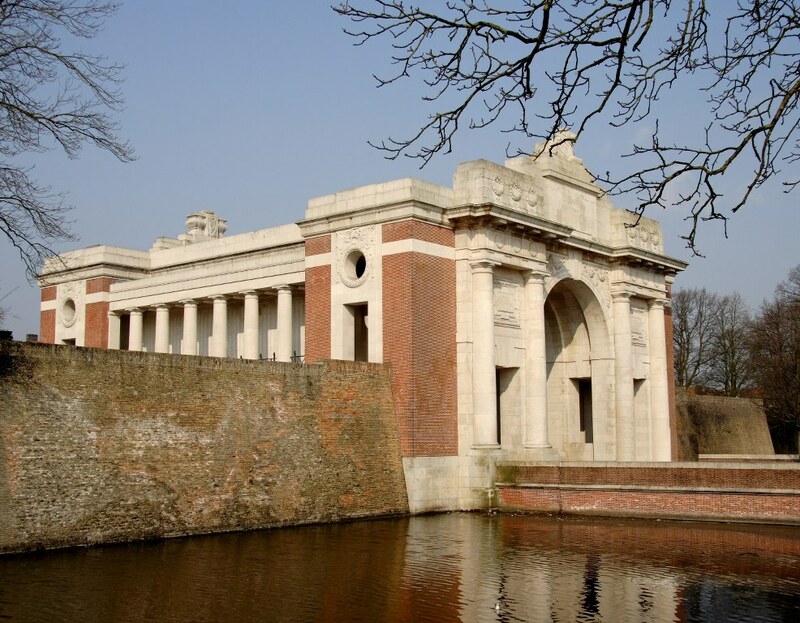 To provide support, at 10am on 6th November, 9 Brigade of 3rd Division, left Bailleul and marched via Dickebusch to Ypres then through the Menin Gate to Hell Fire Corner where, at 11pm , they were ordered to relieve 6th Cavalry Brigade, just south of the Menin road. The 4th Royal Fusiliers battalion took over positions east of Hooge on the south side of the Ypres-Menin road on the edge of Herenthage Wood. Here they remained until 11th November on which day they had to withstand the final German attack at Ypres in the Battle of Nonne Bosschen in which they had to cede some territory. During the five days before this, 4th Royal Fusiliers were subjected to daily shelling and sniping. The Battalion Diary entry for 10th November recorded that there was some shelling and a good deal of sniping by the enemy, during the course of which Leonard Lawrence was killed.